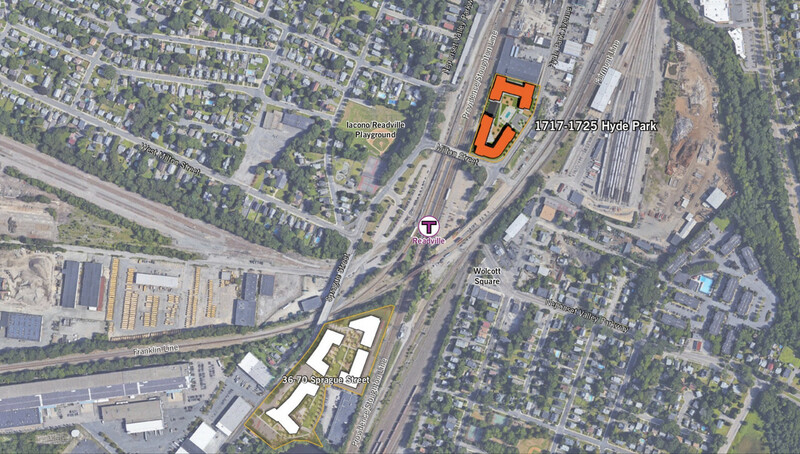 With a lot of proojects being able to defer their affordable housing off site, I figured itd be a good idea to keep track of where its going. Also being able to keep track of where other affordable/middle class housing projects are going up around the city. Lots of times you just hear a development will build units off site, then never hear about it again, so I think it would be good to see where it actually ends up going. Not the result of units built off site, but a nice middle class project going up in Hyde Park is the Sprague st Redevelopment in Readville. *521 units of middle class housing. Last edited by stick n move; 03-09-2019 at 10:57 AM. 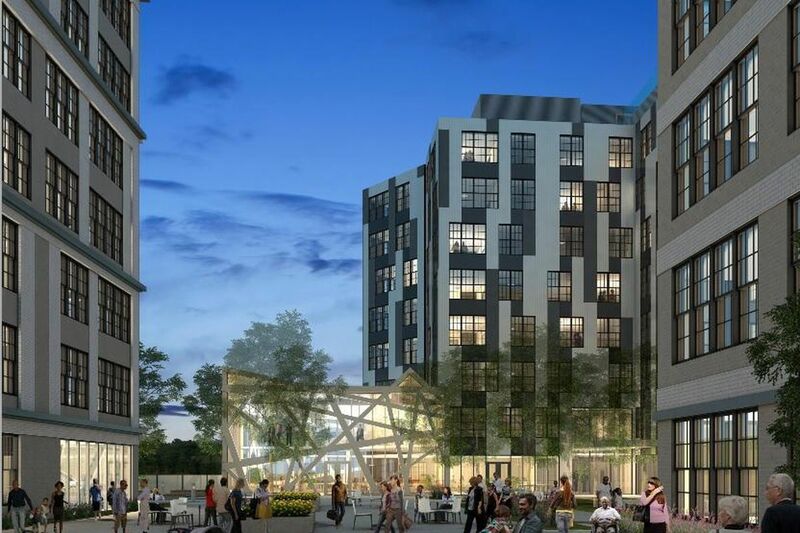 BOSTON – Kaplan Construction, a WBE general contractor and construction management firm, has started construction on JFK Crossing, a five-story, 42,000 SF mixed-use building at 420 Harvard Street in Brookline, Mass. being developed by Aura Properties LLC. Kaplan is responsible for demolition and construction management for the project, which was designed by Embarc Studio. Construction started in September and is expected to be complete in August 2019. *with 25 percent of the units set aside as affordable housing (40B). The podium-style building will feature two retail spaces on the first floor and 24 spaces in an underground parking garage. 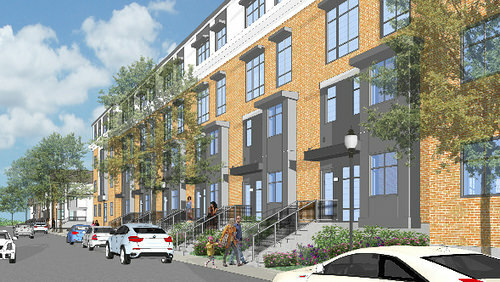 Amenities will include bicycle parking, a shared outdoor landscaped patio, and common space. 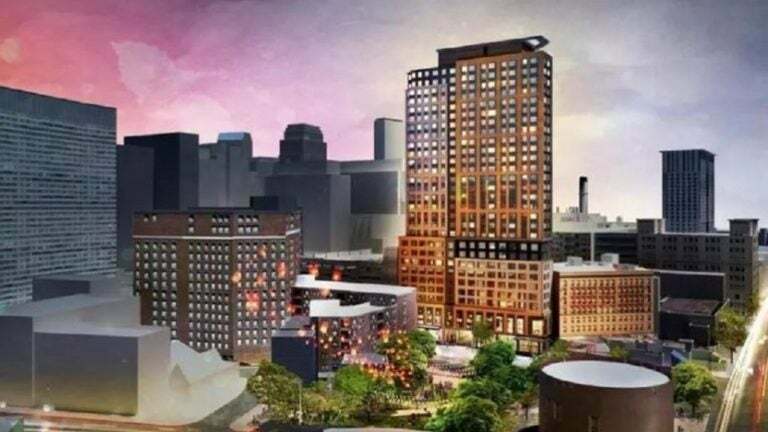 “BOSTON–The Boston Planning & Development Agency (BPDA) Board of Directors approved residential development projects in Chinatown, East Boston, Fenway, Roxbury and Jamaica Plain, and a commercial project in East Boston at their February meeting, BPDA said in a statement. 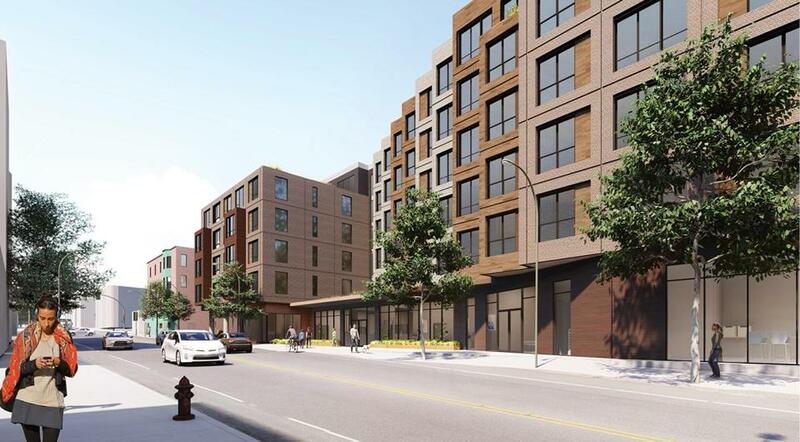 “BOSTON – Boston Mayor Martin J. Walsh, Boston Housing Authority Administrator Bill McGonagle, Beacon Communities LLC, and community residents broke ground for the third phase of redevelopment of the Anne M. Lynch Homes at Old Colony. **225 income-restricted apartment homes, 140 of which would be housing units with support services for men and women moving out of homelessness. So that's 100% affordable. Didn't know they still do that. Usually mixed income housing works better. Me either, we need much more. It seems like cities all over America used to fund thousands of public housing complexes, but after many failures it seems like they all but gave up instead of changing the model. When you say "cities" funded them, you are contrasting that to today where private developers are called upon to fill the gap of public funding? PS. Related Beal built 100 Beverly 100% "affordable", of course, but only b/c the land was given away (being on top of the depressed artery). Sorry I meant used to build public housing everywhere, the federal govt funded it. Mixed income communities are the new model but if you look around the world especially at Singapore and Hong Kong there are right ways to house huge amounts of people in public housing that arent neglected and segregated. I think theres room for both. The way that our public housing wasnt integrated into the fabric like normal buildings, werent maintained, and were segregated made them a failure. If you built thousands of those same high rise project buildings but spread them all around insteap of clumping them all together with dead street levels, it would have worked. I think we can try it again but with a new approach using the lessons weve learned and it would be fine, we havent really built any new public housing since the 70s and demolished tons of it. If they were spread all around the city and integrated with the rest of the buildings, income levels, and community it could work fine. I think we need to take a serious look at federal funded public housing again. I was reading the other day how almost all was built by the 70s and a ton of it got torn down. Now its almost all up to the private market these days to build affordable units. Thats great too, but its not enough. We made mistakes, but places like Singapore and Hong Kong are building thousands and thousands of public housing high rises to house people and its working fine. The affordable units work, mixed income developments work too, and building lots of spread out mixed income public housing can work too. One of the biggest problems was lack of maintenance and that they built it in bad areas, with no retail, and built dozens of them together not integrated into the fabric at all so it was segregated. Weve learned a whole lot since the early-mid 1900s. We could do it right if we tried again by infilling housing and not bulldozing areas and throwing up 100 brick towers separate from everything else. Theres no reason the city couldnt build 12 towers spread around the city with a couple thousand units for the middle and lower class integrated with the rest of the neighborhoods. It also said how cities own about 60% of their land so they dont even need to buy land to build lots of housing on. High rises are the most cost effective use of land, with federal money and city land they could make a huge dent in housing. It also brings down the private market prices when they have to compete.